According to data released by CoreLogic, the Australian Residential Real Estate market was worth an estimated $7.4 trillion in November of 2017, with a total of 48,202 homes being advertised for sale in October of 2017. Home sellers may feel overwhelmed by the sheer number of competing properties, leading to insecurities about everything from the value of their home, to how long it can be expected to stay on the market before selling. Selling your home is a big decision. It entails packing up and looking for another abode, which requires some capital to fund this big purchase. It goes without saying that the housing market is dynamic and ever-changing, which often leaves prospective home sellers with a long list of questions that might affect their decision to sell. The property market is a beast that shouldn’t be faced without understanding its ways. As 2018 commenced, the Managing Director and Head of Property Market Research at Propertyology, Simon Pressley, predicted that “some well-chosen regional cities are going to leave the capital cities for dead when it comes to property market performance”, yet the overall national property prices in Australia are still 32.4% higher than they were five years ago. Navigating the property market requires knowledge of the housing market, the area in which a home is being put up for sale, the requirements that go along with selling a home, and it also necessitates the skill to use this knowledge to get the best possible price for a given property. Real estate agents are there when the market is booming, and are also there when the market slows down. They understand that the housing and property business is not stagnant, and have learned to use their expertise to the advantage of the sellers they assist with selling their homes. To sell, or not to sell? Qualified and experienced real estate agents have heard the most frequently asked questions relating to the sale of your property before, and these are their answers. This is, by far, the single most common question real estate agents get from home sellers. It makes sense to want to know how long your home is likely to be on the market, as this will affect many other decisions you’ll have to make, like when you’ll have to organise the movers to relocate to a new place, and when you will need to have organised the new home you’ll be living in. It is difficult to say for certain how long it will take to sell any given home, and this is a question with a relative answer. Experienced and knowledgeable real estate agents know the average days on market for the areas and suburbs that they operate in, and will be able to give that number to you, but it is by no means a guarantee of how long it will take them to sell your home. The math is quite simple: the average days on market are calculated by using the last 30 days or six months of sold listings. The number of days that each listing was on the market for are added up, and divided by the number of listing to determine the average days on market for a given period. In a buyer’s market, the number of days on market will be more, because inventory typically takes a bit longer to sell, as opposed to a seller’s market, where the number of days on market will be fewer. Even if your agent gives you an estimate by saying what the average days on market is for a specific suburb or city, how long your house will be on the market depends on an additional variety of factors, including what the seller’s market is like for your town, city or suburb at any given moment, how long comparable properties are on the market, and so on. Another factor that comes into play when determining how long your house will sit on the market is the condition of the property. If a house isn’t in dire need of repairs or renovations, it tends to sell more quickly, whereas dilapidated homes and fixer-uppers take longer to sell because the market for these types of properties is smaller. This is why getting your house in order – literally and figuratively – will have an influence on everything from fetching the asking price, to selling more quickly. Doing the repairs a property requires will go a long way in ensuring your house doesn’t stay on the market for a very long time, and your real estate agent will be able to advise you on which repairs are absolutely necessary. Ultimately, it is difficult to predict how long it will take to sell your house, but an experienced real estate agent will be able to give you statistics about your area, and a good estimate. Whatever the market conditions are like, patience is a key factor when selling your home, and keeping your expectations realistic is just as important. If you are in a hurry to sell, feel free to ask your real estate agent what he or she recommends you do to help along the process. 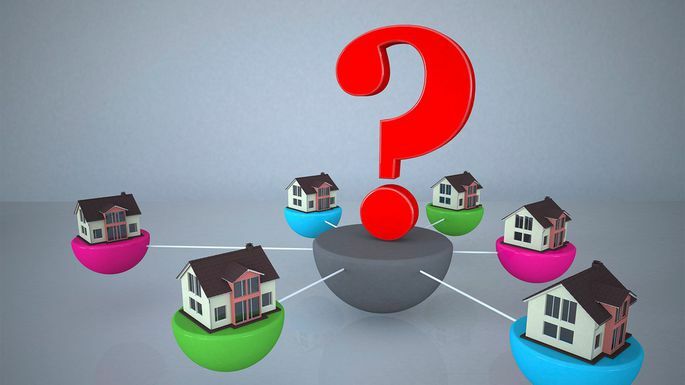 What is the real estate market like at the moment? This is a valid question, whether you are a home buyer or a home seller, as the property market is always changing, and what was applicable a few months ago may not be applicable at the current moment. According to data from the latest CoreLogic-Moody’s Analytics Australian Home Value Index Forecast, the housing market decline of 2017 and early 2018 looks to be stabilising again. With this being said, the housing market in Sydney is vastly different to the housing market in Hobart, and your real estate agent will be able to give you data on the ebbs and falls of the property market in the area where you are selling. Believe it or not, the real estate market is also as changeable as the weather, and this is meant quite literally. Research has shown that the real estate market in Australia experiences a bit of a lull in the winter months, only to pick up again when spring comes. This can probably be ascribed to prospective buyers being more willing to go out and view properties when the weather is nicer, together with a general optimism in the market. Even so, real estate agents have seen that while the market is smaller when the weather is less pleasant, it certainly doesn’t mean that property doesn’t sell. While the market may be smaller in winter, there tends to be less competition, which means that you could still get a good price for your property, even if it doesn’t seem to be prime selling season. Of course, the property market is often described in terms of being a buyer’s market or a seller’s market at a given time. As mentioned earlier, a buyer’s market is characterised by houses that sit on the market for a longer period of time, and typically fetch prices that are a bit lower when they do sell. 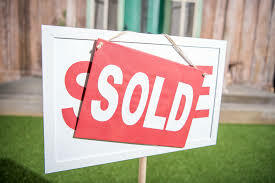 A seller’s market, on the other hand, is characterised by shorter selling times and higher prices. A real estate agent who has the proper training and experience with selling property in your city will be able to give you detailed statistics on the state of the current real estate market. This is always a good question to ask if you want to determine whether a specific real estate agent is right for you. If they fumble and can’t give you a clear picture of what is going on in the real estate market, it might be time to look for another real estate agent. 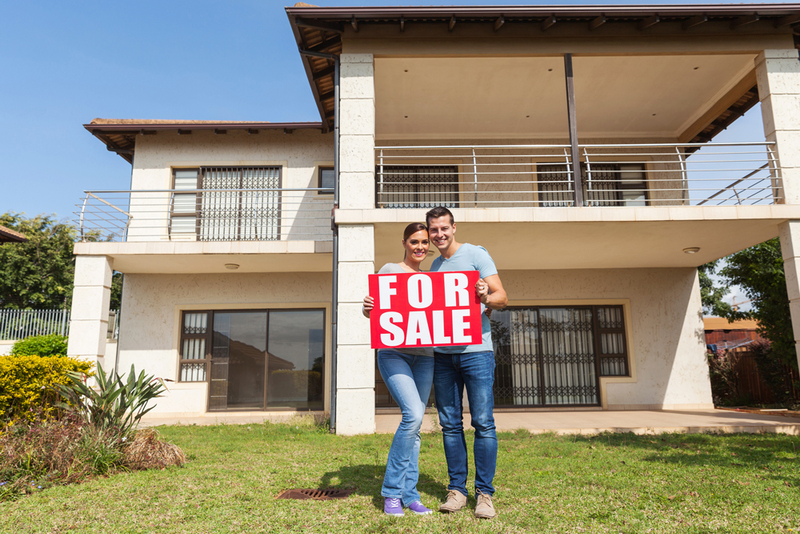 Do I need to get a real estate agent to help me sell my property? There’s a short answer to this question: you probably do need an agent, yes. Unless you have comprehensive knowledge and experience of the real estate market, it is advisable that you use a licensed real estate agent to help you sell. These agents have studied to qualify themselves, and constantly monitor the real estate market, so they are truly the best people to help you sell as quickly as possible. Many people think they can save on costs by selling their home themselves, but in this regard, the benefits of using a real estate agent to help you sell your home justifies the cost in more ways than one. Qualified and experienced real estate agents can help you to increase the potential profit on your sale because they have access to resources and databases that are more often than not far greater than those of an average Joe. Real estate agents have access to a list of potential buyers from the get-go, and also know how to market a property in order to fetch the best possible selling price. In addition, using a real estate agent will often also result in fewer days on market, leading to quicker sales. Real estate agents deal with potential buyers, home inspectors and other professionals that are involved in the sale of a home, which is both convenient and timesaving for the seller. Selling a home is a complicated process, which involves a lot of paperwork and many legal requirements. Slipping up during any stage of the selling process may lead to legal repercussions for the seller, but real estate agents are familiar and up to speed with all the legal requirements of selling a property. Finally, a real estate agent that is experienced possesses excellent negotiation skills. This is both a requirement of the trade and an additional benefit that comes with using a real estate agent to help you sell. They are objective partners that will look at your property realistically, but will also negotiate with potential buyers on your behalf, minimising the chance of making an emotional decision about the asking price. Real estate agents are seasoned professionals that have honed their skills over a period of time, and understand how to sell a property to the right people, at the right price, in the quickest time. This is not to say that you are not allowed to attempt to sell your property on your own and that there is not a chance that you could fetch a decent price by selling your home yourself. The fact of the matter is that most home sellers simply don’t come to the table with the same skills and expertise as someone who sells homes for a living. Take your time when choosing a real estate agent, and interview a few before making a final decision. Their motivation to sell is the commission that they will get on a sale, and you can be certain that they will work for every penny. What is my agent’s commission? This is something that will depend on the real estate agency you use to help you sell. Australia’s deregulated market means that the commission percentage on any given home may differ from state to state, city to city, and even agency to agency. Commission structures in Australia are divided into either fixed or tiered commission. A fixed commission structure means that your real estate agent will receive a fixed amount of commission upon completion of the sale of your property, regardless of the selling price your home ultimately fetches. A tiered commission structure means that the commission a real estate agent earns escalates according to the eventual selling price of the property, based on a sliding scale that is negotiated and decided upon prior to using the services of an agent. This functions as an incentive for real estate agents, motivating them to get the highest possible price for your property. Rough estimates of commission rates are available for states, cities and suburbs in Australia, but you will have to discuss and negotiate the commission rate with your real estate agent before signing any contracts. What repairs need to be done before putting my house on the market? Your real estate agent will be able to advise you regarding repairs that pertain specifically to you individual property, but there is general consensus that certain repairs have the ability to considerably affect the price a house fetches. These repairs include damaged and dilapidated roofs, plumbing, ceilings and electrical faults. A fresh lick of paint wouldn’t hurt, either. Plumbing and electrical repairs that are left to the buyer will discourage many people from buying your property, which makes the pool of sellers you attract much smaller. These repairs may be costly, but will almost definitely affect the sale. A shoddy-looking property will take longer to sell – that goes without saying – but some very basic alterations, enhancements and repairs really do go a long way to help with kerb appeal and the first impression that potential buyers have of your property. If you are on a tight budget, but know that your home is in need of some TLC before putting it on the market, a real estate agent that understands the pool of buyers that you are looking to impress can provide the best advice to suit your pocket. Use the myriad of resources that are available online to conduct some repairs and alterations yourself. This can also help to cut down on the costs associated with repairs and renovations. Do I need to stage my home? If you are not familiar with the term, staging the home is defined as a tactic that uses minor renovations, accessories, rental furniture and styling to improve the presentation of homes that are for sale. The purpose of staging is to put potential buyers into your home and to encourage them to see themselves in the space. Home staging includes things like clearing clutter and putting away sentimental items and family photos. Home staging is not essential when selling your property, but creating a beautiful space in which potential buyers can envision themselves is very important. This doesn’t mean you have to go all out when staging your home – a few basic tweaks might just do the job. Home staging can also make the photos that are featured in print advertisements and on the internet more effective marketing tools. Home staging is more than making a property look pretty, it also wants to appeal to the emotions of buyers and evoke a feeling from them, which is what makes it such a powerful marketing tool. An experienced real estate agent will be able to advise you on how to stage your home to create maximum buyer appeal. If you are planning to sell a place where an innumerable amount of memories have been collected, it makes perfect sense to want the highest possible price for your property. Calculating how much your home is actually worth depends on quite a few aspects, which include but are not limited to the suburb in which you’re selling – comparable properties can give a good indication in this regard – the state and age of the property, the features of the property, and the current conditions of the housing market nationally, in the state and locally. After inspecting your property, your real estate agent should be able to provide you with an estimate of what your property is worth, and can also advise you about what can be done to push up the asking price of the property. Remember, your emotional connection to the property may distort your opinion of what it is worth, which is why it is important to have someone objectively assess the value of the property, based on factors that actually influence the price of your home in reality. Selling your home can be complicated. Particularly if you’ve never sold a house before, there are a great many factors to consider before embarking on this path. How long your home will be in the pond with other competing properties is difficult to determine, albeit not impossible, although this figure will always be an estimate based on current market conditions, the average amount of days on the market in a specific city or suburb, as well as the condition of the property that you are selling. The property market in Australia is vigorous and dynamic, and plays a leading role in how your home will perform among the sea of others that are also vying for the attention of prospective property buyers. Repairs to the property before listing it as being for sale, as well as the staging of the home can be influencing factors that may draw the attention of buyers in a positive or a negative way, depending on how the home seller decides to approach them. All of these factors will eventually determine how much a piece of residential real estate is worth, and for how much it should be listed. Finding a real estate agent that you can trust to sell your home at the best price in the quickest time is an indispensable step of changing a “For Sale” sign to one that reads, “Sold”. Do not underestimate the return on investment that a real estate agent can yield – selling for a price that is higher than you expected always justifies commission fees. If an agent is qualified, licensed and experienced, they bring unparalleled expertise and knowledge with them that can prove invaluable to the home seller, and can turn out to be one of the best decisions a home seller makes when deciding to sell their property. Perfect Agent is an online tool that helps you to find real estate agents that possess all the good qualities that home sellers and the owners of rental properties are looking for. Let us help you to find a real estate agent that is trustworthy and knows the property market that you are selling in. Finding a good real estate agent is as easy as contacting us and completing a short questionnaire that helps us to assess your unique needs.